You are going to adore this chicken. 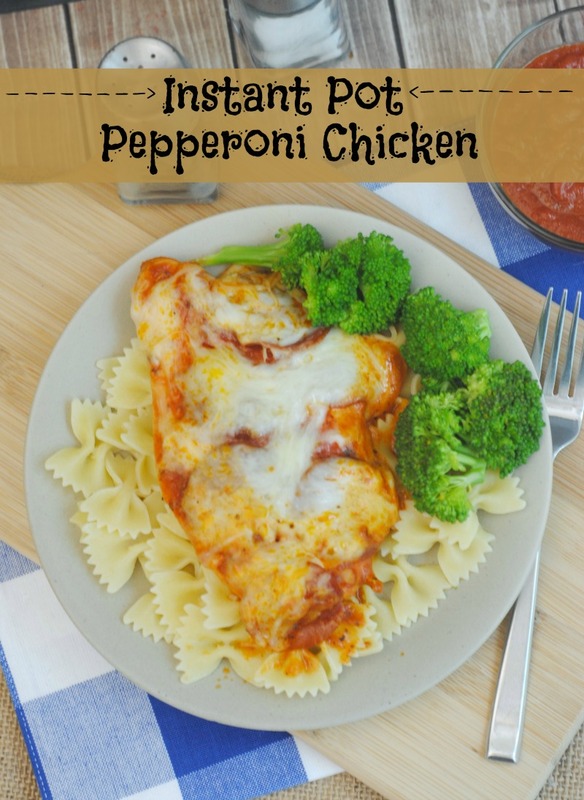 It’s chicken – pizza sauce and pepperonis, all cooked together in the Instant Pot. If you aren’t using an Instant Pot yet, let me tell you that it has a magical way of infusing flavor with the ingredients being cooked. The way that is uses heat and pressure to cook food transforms it to perfection. 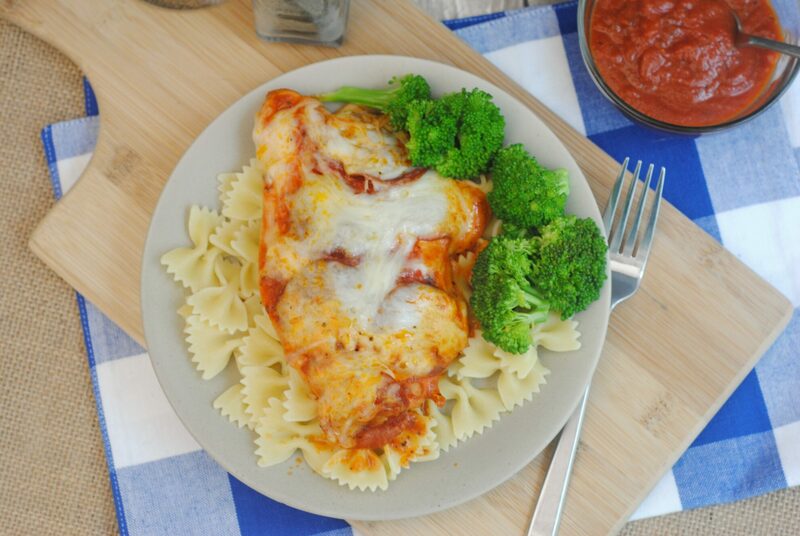 The chicken takes of the pizza sauce flavors and the pepperoni flavors as well and makes for a delicious sauce to serve with pasta. Once it’s finished cooking in the Instant Pot, you can add shredded cheese and let it on warm mode until all the cheese has melted. Add 1 cup water to the base of the instant pot insert. Then add the chicken, pizza sauce and pepperonis over top of the chicken and sauce. Set on Manual, High for 15 minutes. If cooking from frozen, set on Manual, High for 22 minutes, or until chicken is cooked through. Quick release the vent and then check to make sure it’s done. If it’s not done, run it for another 2-3 minutes. Keep it on warm mode, add the shredded mozzarella cheese right onto each piece of chicken and let melt while on warm mode. Use a slotted spoon to remove the chicken and drain the juices from the slow cooker. Garnish with grated Parmesan cheese. Serve Instant Pot Pepperoni Chicken over pasta rice with veggies. Is this supposed to be incredibly watery when done cooking? How are you supposed to put cheese to melt on top when it is floating in water? Just made this tonight, thank you for sharing! New to the instant pot and appreciate the idea! The cheese and pepperoni kind of slid off the chicken but it was tender and great!